GESTURE and STILLNESS Spring 2014 Watercolor Workshop. Two painter friends, one known for expressive “painterly” landscapes, one for elegantly rendered still lifes, both passionate about color, offer a unique weekend of watercolor exploration. soft-edged wet-in-wet forms, layering marks and shapes, painting seamless transparent washes as meditative practice, and delineating sharply focused objects. Approaches: abstract to realist, spontaneous to methodical. 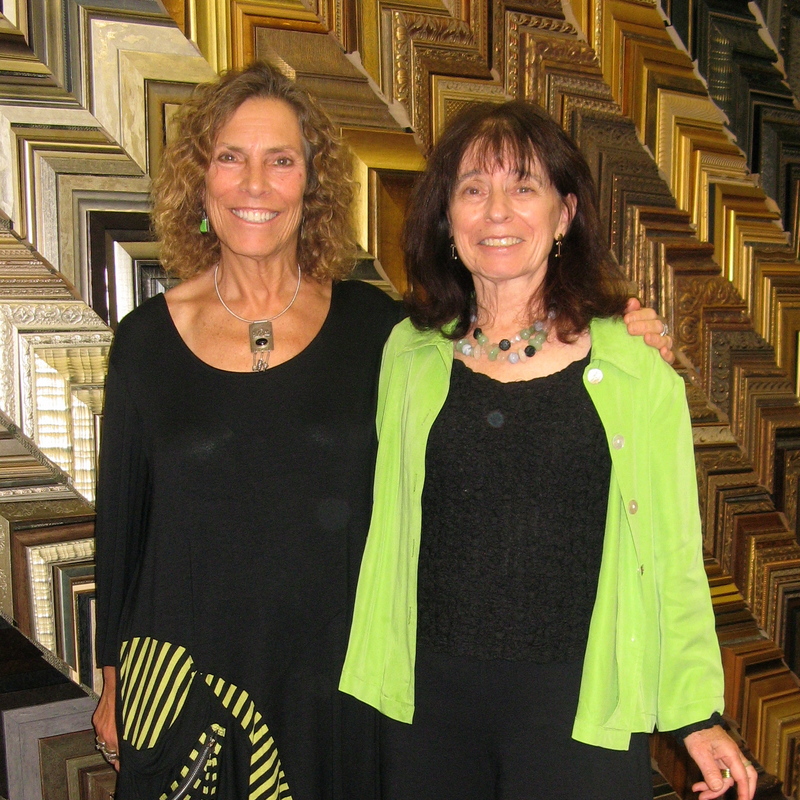 Your instructors bring many years of painting and classroom experience to guide you—Marsha at Santa Rosa Junior College and Sally at Healdsburg High School, as well as workshops and classes for students and teachers across the country. The focus is teaching watercolor skills in the context of the special Pepperwood environment. Pepperwood can speak through the artist’s brush and paint, and get inside the painter, through interaction with the landscape and its smaller forms, ie a tabletop landscape or still life. We are the teachers; Pepperwood is our muse. We will be teaching observation, technique and expression, and hope to inspire both artist and naturalist in each person. Participants of diverse backgrounds are welcome! Class is structured around group exercises and individual pursuits. Beginners will find guidance for basic exploration. Experienced painters will find support to develop technique and expression. Materials: Use what you already own or consult our list, sent upon registration. Snacks provided. Please bring your lunch. I paint through the seasons, “en plein air,” surrounded by pools of texture and color, in both the natural and the human-altered landscape. 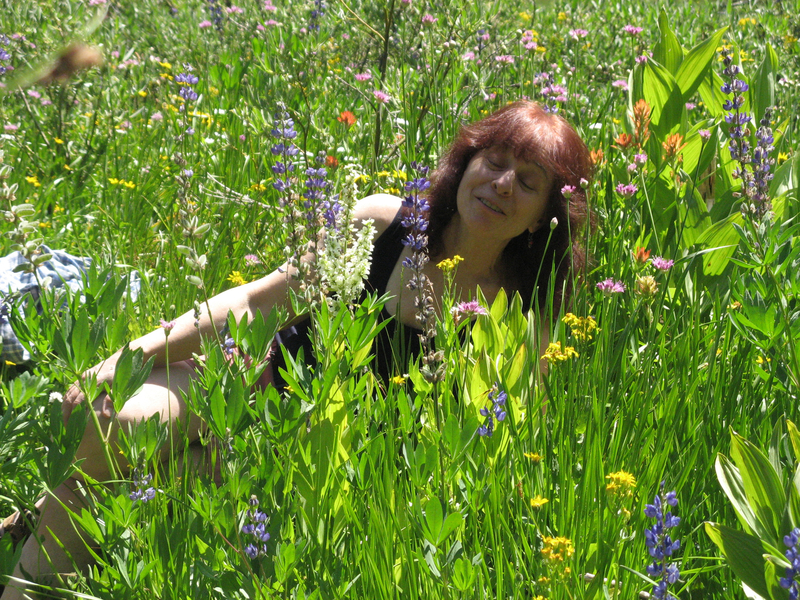 From mountain meadows and lakes to lavender gardens and urban shop windows, resonant themes emerge. I notice how a place affects my interior landscape, and how my painting reflects the spirit of a place. Watching, listening, hiking, dancing with trees — trusting intuition and gesture — infuses the work with an abstract sensibility. My approach is colorist and painterly — images emerge from the rhythms of brushstrokes. I do not require fidelity to local color; expressive color may feel more true. Glazing and scumbling layers of color builds depth and luminosity, softens edges. This may evoke a place of some mystery, a place of the heart. 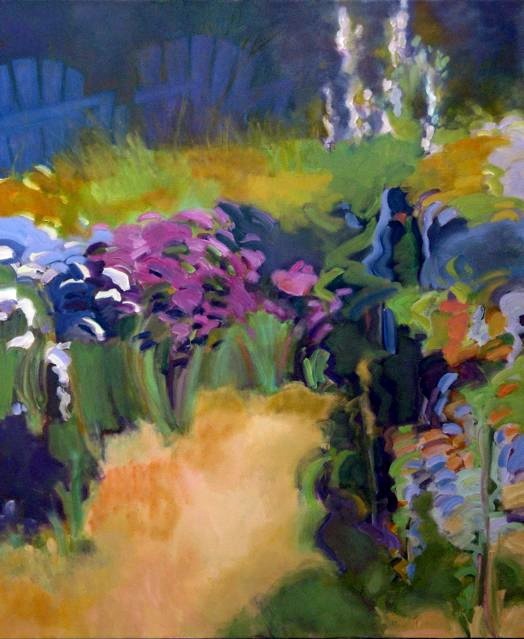 This painting was inspired by the splendid “Mother Garden” at the Occidental Arts and Ecology Center. Its abundant old-fashioned plants and worn Adirondack chairs evoked memories of my grandparents’ farm between the Catskills and the Adirondacks.